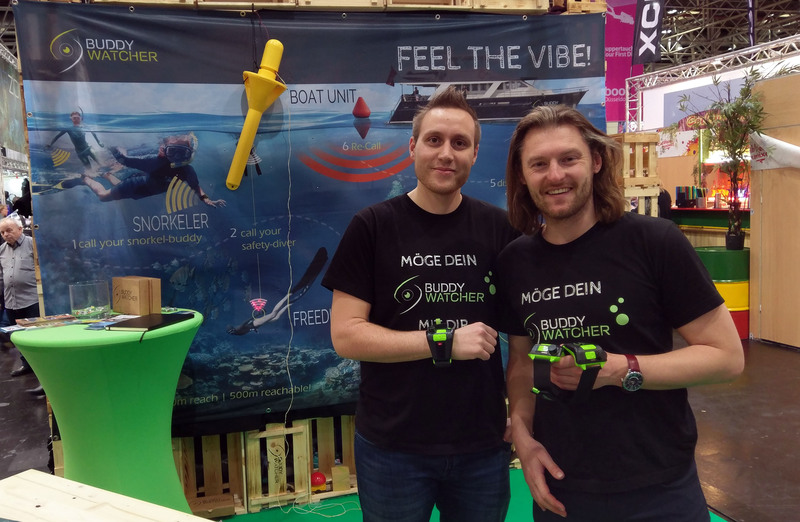 At every diving industry show, a few companies and individuals push the envelope of every aspect of diving, and Boot Düsseldorf 2017 was no exception. Deepblu went sniffing around the booths in search for interesting new developments. Today we’d like to present Buddy-Watcher, who have found a non-intrusive way to get attention underwater. It has happened to everyone. Perfect diving weather, perfect diving conditions. And yet, just when you see that rare eel cropping up its ugly head, your buddy is looking the other way. You bang on your tank and wave frantically but all you do is startle some fish and waste air. Or worse: you get stuck and your buddies are nowhere to be seen. You watch in horror as your air slowly runs out. There are many ways to attract attention underwater. Flashlights, dangling keys, banging your tank with a metal pointer or even screaming through the respirator. But these options are not always effective. 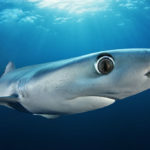 You don’t usually mean to alert everyone underwater and you sure do not want to scare away the marine life. And what if you can’t hear? This is exactly what led Michael Feicht and Eduard Sabelfeld to their invention: the Buddy-Watcher. As soon as you press the Buddy-Watcher’s large bright green button, the device sends an ultrasound signal. 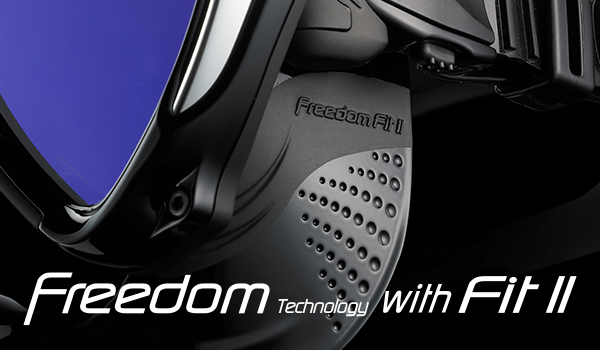 Momentarily, your buddy’s partner device vibrates strongly and red LEDs start to dance around on the display. 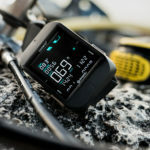 Your buddy now knows you’re trying to communicate with them, without having disturbed any other divers or the life around you. Feicht claims that the system works for a distance of up to 80 meters at maximum 60 meters deep. But what if your buddy strays further away from you? 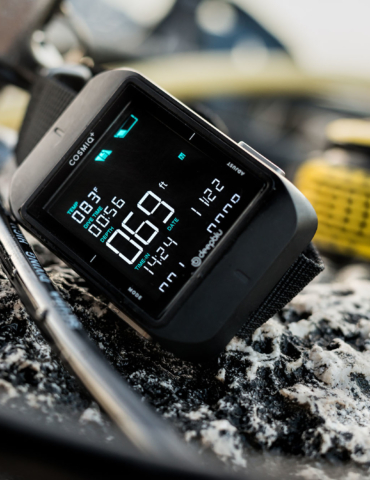 Fear not: the Buddy-Watcher has your back and will alert you that the distance between the devices exceeds a pre-set limit. It really is that simple, but there is more! 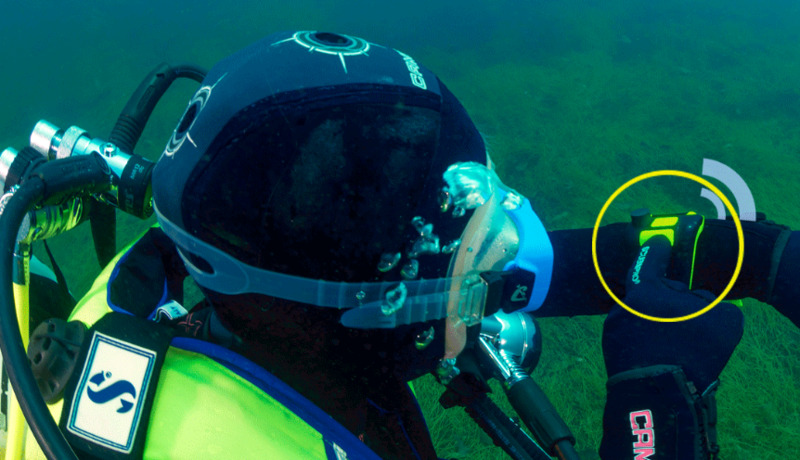 Dive instructors can pair their Buddy-Watchers with all of their students, in order to alert entire groups at once. 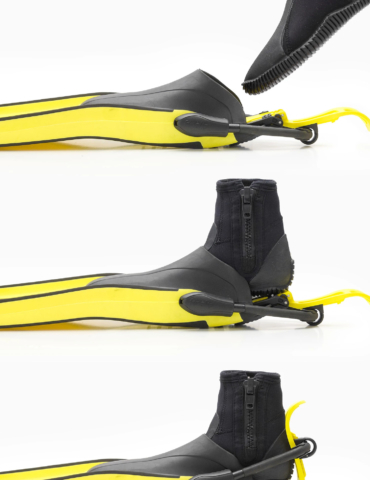 Conversely, the device’s smaller button allows apprentice divers to buzz their dive instructors. 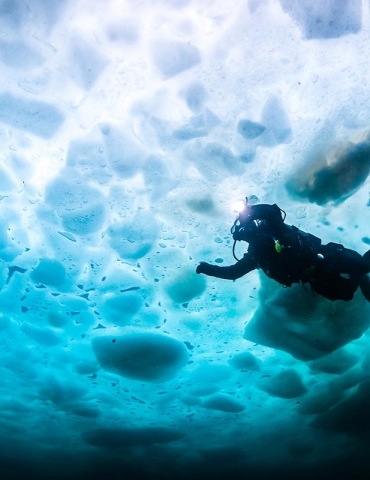 Finally, the creators also thought above the surface: boat operators can purchase a unit that can call divers back to up in case surface conditions worsen unexpectedly. “In the future,” says Feicht, “we hope to improve our device so it indicates the general direction of your buddy.” By establishing the direction of the ultrasound signal, the device will be able to light up the LEDs on the corresponding side. The Buddy-Watcher comes with various lengths strap lengths and a USB wall charger. According to Feight, the battery will last for at least six dives. A single Buddy-Watcher goes for €120, but sets can also be procured from their online shop for €200.